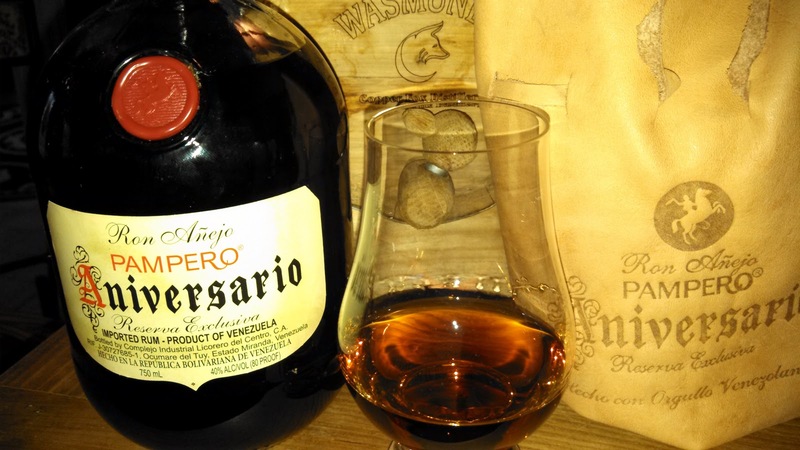 Ron Añejo Pampero Aniversario Reserva Exclusiva - What's in a name and satchel? While browsing a liquor store in New York, I came across a fancy leather satchel containing an interesting Venezuelan rum - Ron Añejo Pampero Aniversario Reserva Exclusiva ($30). Traditionally the term "ron añejo" refers to aged rum and "pampero" to a vicious squall. Thus, in 1938, Alejandro Hernández started Industrias Pampero, C.A. and produced the "first rum to be accredited ‘Añejo’, by the Venezuelan government". Twenty-five years later to celebrate their anniversary (that's 1963 for those like me slow in arithmetic) the inaugural Ron Añejo Pampero Aniversario Reserva Exclusiva was released. Now owned by the Diageo empire, the distillery continues to release this premium rum, which is referred to in Venezuela as "Caballito Frenao" ("Restrained Horse") because of the logo on the satchel. The rum pours a dark caramel with a nose of toasted vanilla and sweet honey nuts. Very appealing. On the palette there's a wave of chocolate being ridden by vanilla notes plus a hint of leather when it crashes into a warm molasses burning sensation. Who needs the creme brulee when this rum will suffice for dessert. Adding a few drops of water smooths out the palette by dampening the alcohol to completely eliminate the burn, allowing the rum's flavor profile to shine. This is very nice sipping rum, flavorful and balanced - worthy of the $30 price. Cheers. As tradition has it, my family once again asked for a trip to New York City to partake in the Christmas lights and festivities throughout Manhattan and the other boroughs. 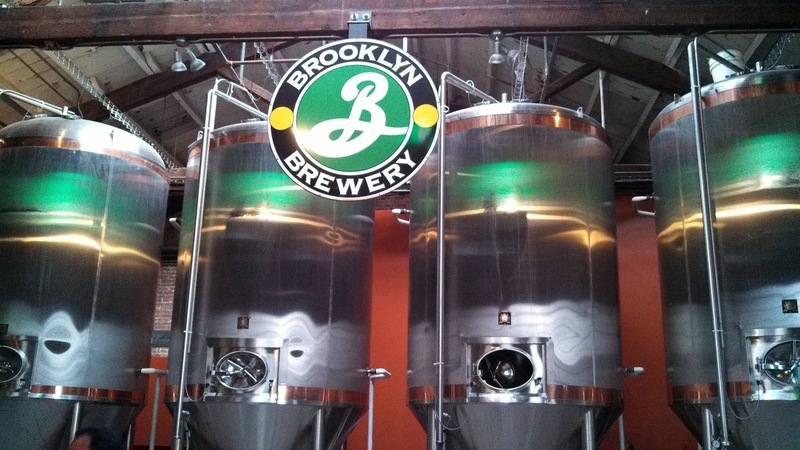 This year I agreed, with one stipulation; we allocate enough time to visit Brooklyn Brewery - located in the now trendy Williamsburg industrial area. And this visit was easily handled with the Prospect Park Zoo on the itinerary. I've been a big fan of the brewery ever since my first Double Chocolate Stout many years ago - perhaps close to their 1988 opening. Since that time the brewery has expanded its portfolio from their famous Lager to many different styles. 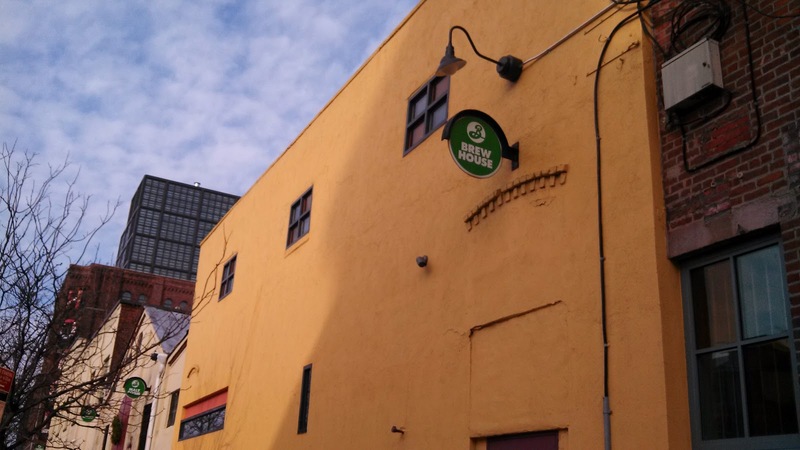 And the brewery itself has expanded with demand to double its capacity and eventually triple it next year. And anyone who follows beer culture knows the influence of Brewmaster Garrett Oliver as he is editor-in-chief of The Oxford Companion to Beer and author of The Brewmaster's Table: Discovering the Pleasures of Real Beer with Real Food. One day we need to feature him on MyJoogTV. We arrived at the brewery to find a swelling crowd even though the tasting room had just opened. As it was Sunday we were welcomed to SmorgasBrewery; where local "underground" chefs provide gourmet food to pair with your beer. And what a selection of beer - maybe a dozen options - and not just the perennials augmented with some seasonals. I noticed only two - the Brooklyn Brown Ale and Brooklyn Lager, surrounded by the single hop Sorachi Ace, Radius, Winter Ale, Brooklyn Monster Ale, and There Will Be Black - among others. After sampling a few, my favorites were the Brewmaster's Reserve There Will Be Black and Sorachi Ace. The former is a Black IPA that satisfies my craving for chocolate transitioning into a bitter finish. The latter is a Single-hop Farmhouse Saison where the rare “Sorachi Ace” hops (developed in Japan by crossing the British “Brewer’s Gold” with the Czech “Saaz”) is sourced from a single hop farm in Washington state. The beer is cloudy but light; lemony but very clean - with a refreshing, almost acidic finish. 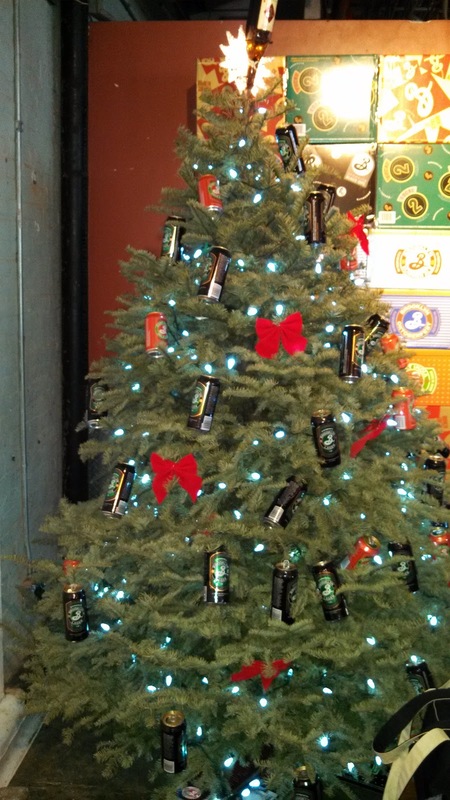 Love the style and ingenuity using a single hop variety. With the family keeping a tight schedule there wasn't time for a tour or more tasting, but with the renaissance in Williamsburg, I see a destination trip in my future. Beer and live music seem to pair well in Brooklyn. Cheers. Note: Brooklyn Brewery is open to the public Monday-Thursday from 5-7pm for reservation-only Small Batch tours, Friday evening for Happy Hour, and Saturdays and Sundays for Tours and Tastings. Casablanca Valley in Chile, specifically the Lapostolle Atalayas Vineyard. The winery is now excluselively owned by the Marnier-Lapostolle family - of Grand Marnier liqueur fame - as well as the Château de Sancerre in the Loire Valley. The expanded into Chile by purchasing a vineyard populated by ungrafted old vines that were protected from Phylloxera by the Andes Mountains. Or so they say. The vineyard expanded over time and now includes Chardonnay which is responsible for 100% of the Cuvee Alexandre. 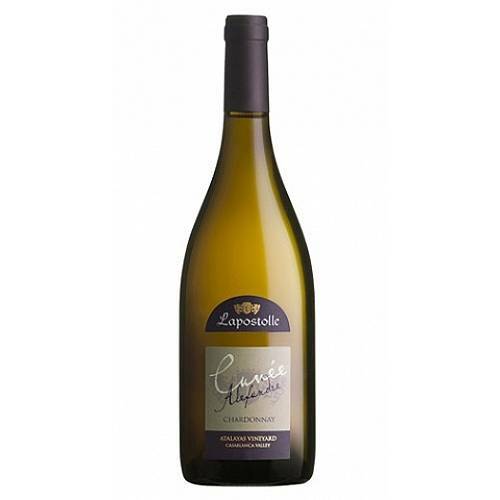 The wine starts with pear and which leads to a tasty vanilla and apple flavor ending with a creamy finish. The oak enhances the fruit without over shadowing it and does not contribute the over-extracted buttery character that I truly distaste. This is a very nice wine, and with this sale price - an extreme bargain. Cheers. 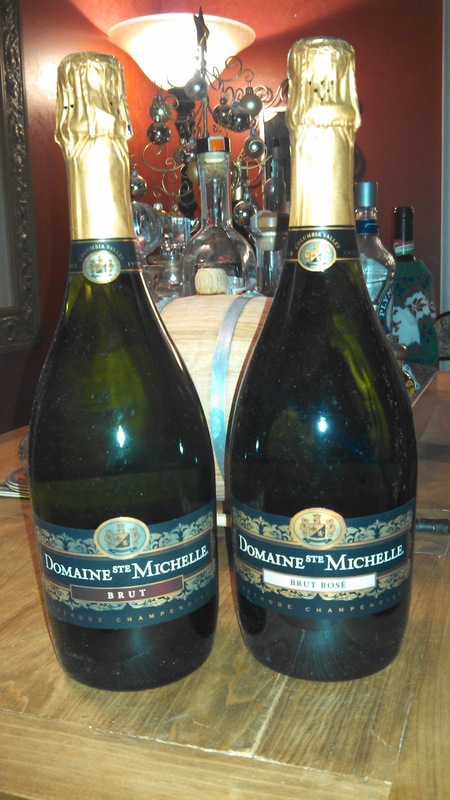 This week I participated in the monthly ThirstyGirl Twitter chat this time featuring sparkling wines from Domaine Ste. Michelle - the bubbly wing of Chateau Ste. Michelle. Specifically we were sent sample of the the Brut and Brut Rose- both retail around $12. Expectations were high, since that day I learned that the The Wine Trials had named Chateau Ste. Michelle their 2011 Winery of the year and that they found that 70% of blind tasters preferred Domaine Ste. Michelle to Dom Pérignon and 85% preferred Domaine Ste. Michelle to Veuve Clicquot. Pretty impressive. Both wines were made from grapes harvested from Washington's Columbia Valley, in which the winery is quick to relate, "whose climate is similar to that of the Champagne region in France". The grapes were then fermented and converted to sparkling wine using the traditional Methode champenoise process. The Brut is a blend of 88% Chardonnay and 12% Pinot Noir and to me, exuded green apples from the nose to the finish. There is a slight sweetness to the body (1.19% RS) that dissipates at the refreshing and effervescence tail. Just a pleasure to drink - lookout Christmas morning. The Brut Rose is 100% Pinot Noir, with the same sweetness, but more of a fruit flavor - strawberry replaces the apple - with a slight creaminess texture. The finish, just as refreshing as the Brut. It's easy to understand why these wines are so popular - great RPQ at $12 and a quality well past this price range. Ready to move on to their Blanc de Blancs and Blanc de Noirs. Cheers all and Merry Christmas and a safe new year. 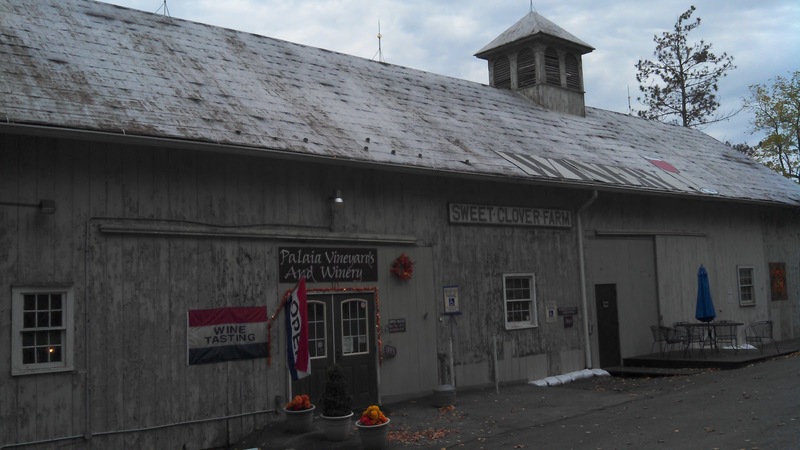 Palaia Vineyards in Highland Mills New York. 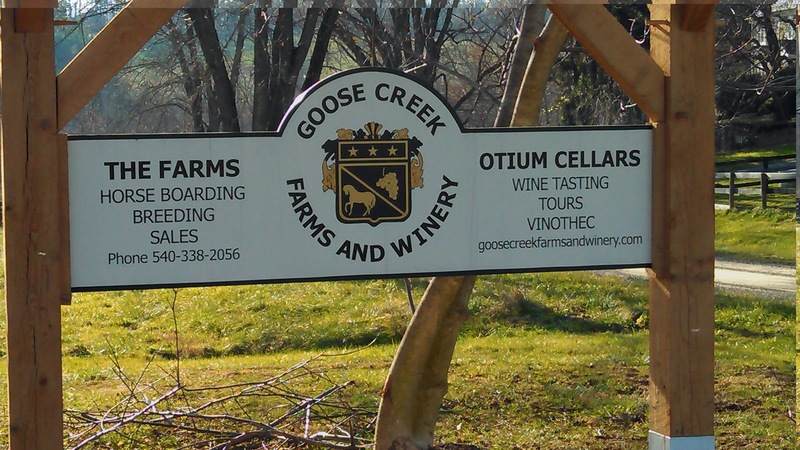 We love our Blaufränkisch, that's no secret; but what may be is the German styled wines made at Otium Cellars located at Goose Creek Farms and Winery in Purcellville, Virginia. Founded by Gerhard Bauer in 2007, the winery celebrates Bauer's Franconian heritage with a portfolio consisting of Blaufränkisch, Dornfelder and Grau Burgunder (a German clone of Pinot Gris). In fact, we first sampled these three wines at 8 Chains North Winery which hosted Bauer's wines before the new tasting facility opened in April. 2012. Note: 8CN's Ben Renshaw oversees the famed Tranquillity Vineyard (located adjacent to the Otium Cellars estate) which is a very nice parcel of land with the grapes sourced to 8 Chains North and Tarara Vineyard & Winery among others. Last week, after a stop at Catoctin Creek Distilling Company, I extended my Purcellville tour by visiting this new tasting facility. 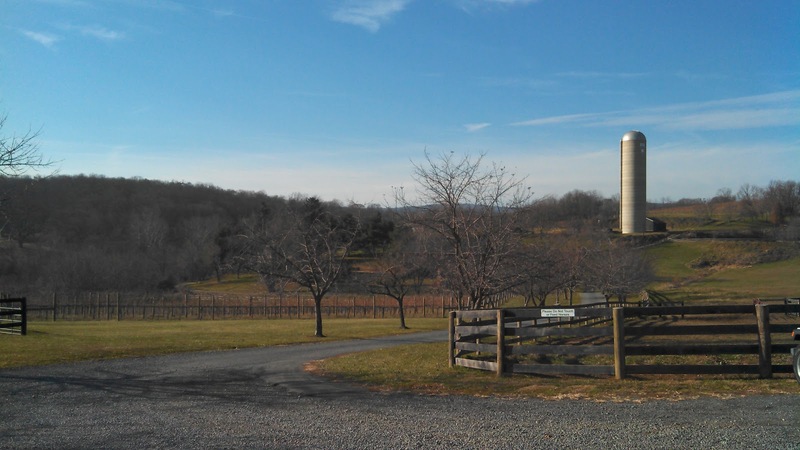 The scenery is quite tranquil indeed with dormant vines, horses, and silos in the panorama. In fact Otium is Latin for leisure, ease, peace, tranquility. The tasting room was empty, except for a fellow wine cask bar fan, so there was ample opportunity to interface directly with the tasting sheet. Except for their Cabernet Sauvignon (Tranquility), all the grapes were harvested directly from their estate. I started off with three whites, two Pinot Gris and the other a Chardonnay, a slightly buttery-oaky wine with caramel at the tail. The Pinot Gris were made in two styles; the first similar to the Chardonnay, slightly buttery, whereas the second was made more into a Reisling style - off-dry with bright flavors and an balanced acidic finish. My personal favorite of the three. Obviously my interest peaked when we moved to reds and as a bonus I enjoyed a vertical tasting of their Cabernet Sauvignon and their Blaufränkisch. You don't get the opportunity to sample successive years but Otium have both the 2010 and 2011 available for both these wines. For both wines, 2010 produced bigger, bolder styles and this was the Blaufränkisch that I shared with fellow bloggers at the 2011 Wine Bloggers Conference in Charlottesville. 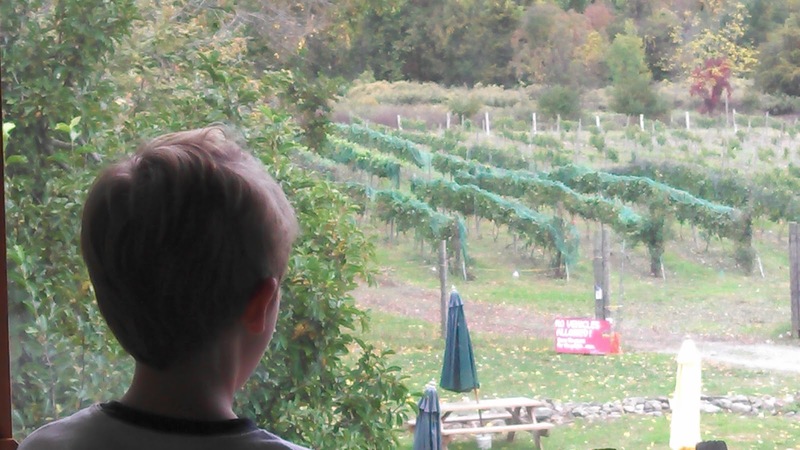 We compared that wine with an Austrian provided by the Wines of Austria. The general consensus was not bad - definitely more New World than Old.After re-visiting, I think I prefer the 2011 version more; its lighter with a more spicy profile and more characteristic of the old world style. Yet, for the Cab, the bolder 2010 hit home. 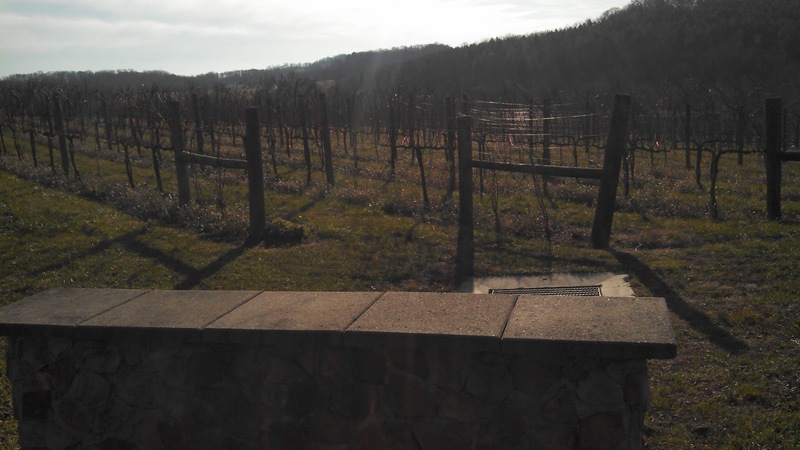 The winery also produces a Pinot Noir and Dornfelder - admirable efforts - but currently drinking too acidic for my tastes. These need to lie low for awhile. However, cheers to their Blaufränkisch and look forward to a comparative tasting sometime soon. Mulled wine (otherwise known as Glögg or Gløgg) is a beverage that ranges from alcoholic to non-alcoholic. It is usually made with red wine along with various spices and raisins, served hot or warm. It is a traditional drink during winter, especially around Christmas and Halloween. This is our Rivanna Red to which we have added cinnamon, clove, nutmeg, allspice, anise, orange peel, lemon peel and residual sugar. This wine is best served either well chilled or steaming hot like tea. The tradition of mulled wine in our country goes back to before the Revolution, when it was quaffed piping hot in taverns, inns and homes. 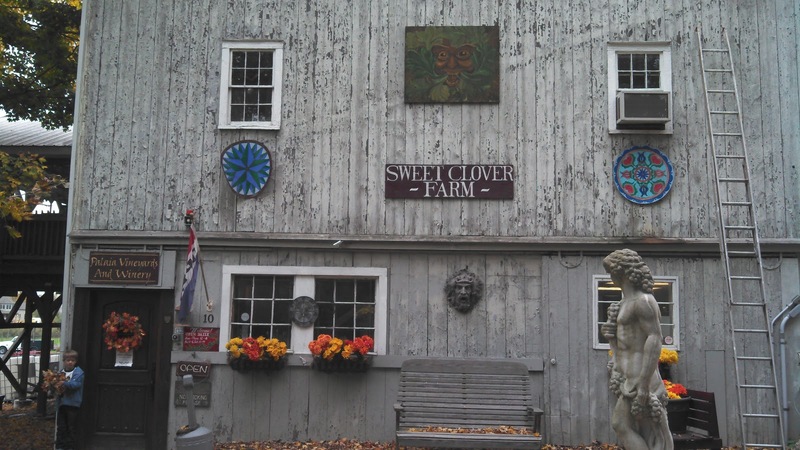 Brotherhood’s Holiday Wine carries on this colonial tradition. Its moderate sweetness is balanced with tartness. Like apple pie in a bottle. This wine starts with freshly pressed apple juice. After fermentation, it is sweetened to about 4% sugar (medium-sweet) and lightly flavored with our own custom blend of spices. Serve warm or cold. This wine is made using a Niagra grape. We add spices so its great served cold straight from the bottle. However, serve it warm with our own Organic Mulling Spices and some fresh fruit and you can turn this into a warm Winter Sangria! This semi-sweet red wine will warm you up when the weather turns chilly. Wonderful at room temperature, or chilled, or warm MULLED. 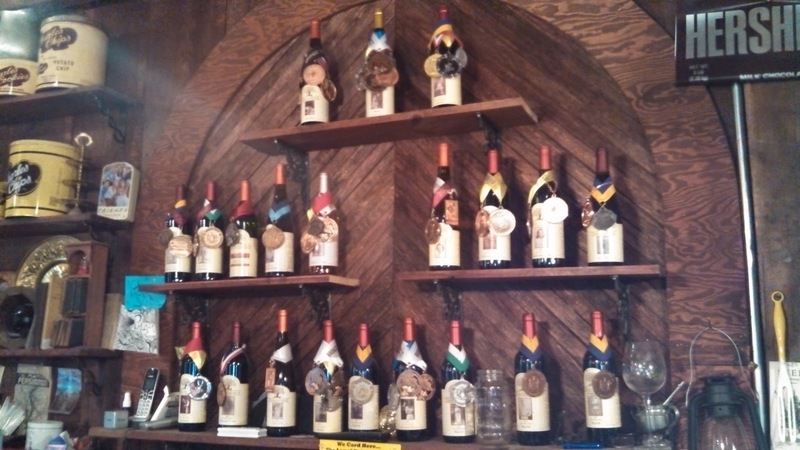 Start a new Christmas tradition with Duplin Winery's festive wine that is sure to warm the soul. Christmas Wine is a wonderful blend of North Carolina Muscadines and brings in the taste of a true Southern Christmas. Our signature Holiday wine! A favorite for fifteen years at Morgan Creek Vineyards and sells out within two weeks of its release every year. A lucious sweet red, rich body, touch of oak, and barrel aged. This Minnesota, French Hybbrid blend is a perfect wine to serve with a variety of main entrees; sweet beef, fruited pork, savory poultry, wild game are all wonderfully paired with this Winter Cycle libation. Even Good King Wenceslaus would serve this at his feast with Page or Monarch. . .
A sweet festive grape wine spiced with cinnamon, nutmeg and clove. 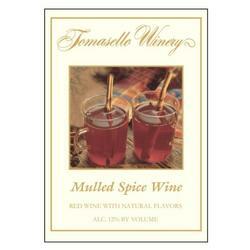 A mulled wine that can be enjoyed with a cinnamon stick or citrus fruits. From the traditional German recipe comes Warm Mulled Wine, bursting with cinnamon, apple, honey, lemon juice, and spices from afar. Warm a glass and pair with creme brulee or other sweets. A mulled spice wine served chilled in the summer or hot in the winter. It's spices of cinnamon, cloves, and nutmeg will delight your pallet. Warm it for the holidays and the whole house will smell like Christmas. Door Peninsula Winery (WI) - Mulled Christmas A softer, semi-sweet cherry wine blended with cinnamon, nutmeg and warm ground spices sure to foster fond family memories and cozy fires. Best served warm. 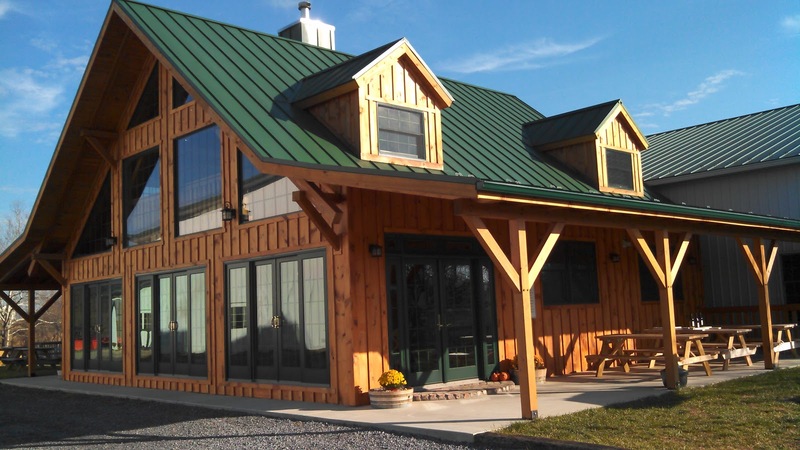 Boyden Valley Winery (VT) - Glogg Glogg is a mulled spice wine that is great served warm in a mug with dried fruits and almonds, or, even better, with any kind of pumpkin desserts or pecan pie. The Recipe came to us from one of those great characters who always seem to just emerge out of the Vermont landscape, our Swedish friend Taug. Knowing something about cold winters, Taug shared this cozy secret with us, and we are sharing it with you. Glogg is a wonderful treat on holidays, or on any chilly night. Cascade Mountain Winery (NY) - Heavenly Daze Our kitchen came up with this spice wine and we think it's a winner. Cinnamon, Lemon Zest, and Lemon Juice combined with red wine produce this rich spice wine - great as an after-dinner treat or mulled wine.